Almost 9,500 parents to lose Medicaid coverage and essential health care services for the community under Governor Malloy’s budget. Read more or download the PDF here. PROTECT EXISTING HEALTHCARE ACCESS FROM ATTACK: CCAG raised the issues that led to the blocking of anti-competitive mergers in the insurance industry (Anthem- CIGNA, Humana-Aetna). Good, but this drama may not be over. Meanwhile, HUSKY A is under attack at the Legislature. The proposed budget would separate approximately 9500 low-income parents from their healthcare. Past cuts (2 years ago about 16,000 were cut) indicate that many eligible children also lose coverage due to confusion. The proposed insurance mergers (see details immediately below) were NOT approved. CCAG and its allies worked hard to raise the clear conflict-of-interest issues and thus wake up regulatory control in CT and beyond. We were successful. Yet competition remains somewhat anemic. Five major insurers are not enough. But five is still much, much better than the mere three which would have been left IF the mergers had taken place. Under the new Administration in Washington, this issue may come up again. CCAG is watching closely. The disastrous proposed repeal of the Affordable Health Care Act lurches forward. The so-called "replacement plan" is ridiculously bad and needs allies desperately. Unsavory deal-making MAY bring the merger issue back. For instance, a recent New York Times article detailed an apparent attempt by one of the insurance giants to court the Trump Administration by supporting ACA repeal against the industry's own apparent interests and past rhetoric. The Times author speculated that the support might be an attempt to gain a rubber stamp for future merger proposals. INSURANCE COMPANY MERGERS: Concerned about the impact of the pending $54 billion merger of Anthem with Bloomfield-based Cigna, CCAG has joined with The Universal Health Foundation and the CT State Medical Society to form the CT Campaign for Consumer Choice. An Anthem-Cigna merger would create the nation’s largest health insurer, with large impact on patients, doctors, hospitals, and our state’s economy. The CT Campaign for Consumer Choice is educating consumers and families, and fighting for thorough and public review of any pending mergers. To see more info and protect your interests, visit: www.consumerchoicect.org. Go to our Home page to see the latest, and to sign a petition asking the Insurance Commissioner to recuse herself from ruling on the merger. She has held no public hearings, and seems to be acting more like an Insurance Company employee (which she was) than a consumer protector. HOSPITAL MERGERS AND CONVERSIONS: Similar to the above merger, for-profit hospital networks are buying up local non-profit hospitals in a nation-wide wave. CT is no exception, as in, for example, the proposed takeover of L+M Hospital by the Yale New Haven Health System network. Experience shows that despite promises made, consumers/patients often lose choice and services, while costs and profits rise unabated. Protecting consumer/patient interests during these mergers is the key organizing area for CCAG in 2016. Currently, support is coalescing around outlawing any merger that gives a single corporate entity control of more than 20% of the healthcare market in any region that includes parts of CT, which may give rise to future legislation. On March 7th, CCAG organized an event at the Mitchell College Weller Center, University of New Haven. See the invitation below. Contact Ann Pratt (ann.prattccag@gmail.com) info on how it went. Our health care system is changing rapidly. Yale-New Haven Health System wants to take over Lawrence & Memorial (L+M) in an "affiliation" that gives Yale-New Haven complete control of our local hospital and the doctors L+M employs. Yale-New Haven will control almost 60% of hospital business on the shoreline from New York to Rhode Island when the deal is done. This could raise prices and cut services. 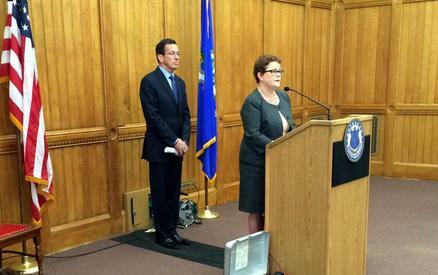 Hartford Healthcare promised no service cuts at Windham Hospital. Now the critical care unit is closed and some patients have to be helicoptered to Hartford for treatment that used to be available locally. Patients in Eastern Connecticut can't afford higher prices or service cuts. The Yale-New Haven/L+M deal needs the public's input.